You have your trip to Venice planned but what about Murano? Get the most out of all the lovely Islands in the lagoon. Don’t worry, it is easy. We have gathered the information for you and added useful tips to make your journey easier. Let’s go! 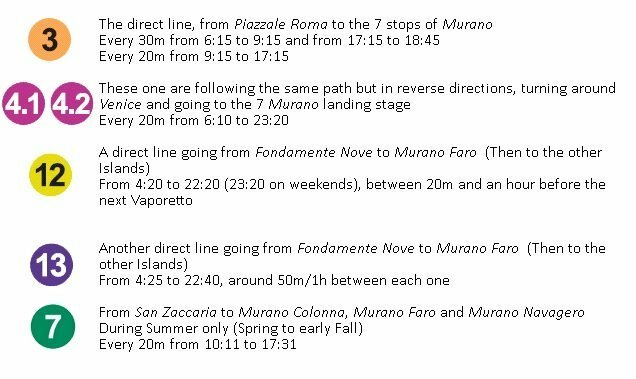 Do you wonder how to get to Murano? As you already probably know, Murano and Venice are islands in the Laguna Veneta. They are easily reachable with regular transports by sea. Water buses are the convenient public water transports called Vaporetti. If you are coming from the San Marco Airport, there are shuttles through Alilaguna. For 8€ they take you to the island of Murano and 15€ will get you to Venice. Your bag and cabin luggage are included in the price, but be aware they may charge you an additional 3€ for extra luggage. Another form of transportation in the lagoon are the personal taxi boats. They can take you directly to your destination, but at a higher cost. Murano Colonna – The first station accessible from Venice at the Southern end of Murano. Murano Faro – Next to Faro, the charming lighthouse still in operation. Murano Navagero – On the Eastern side of Murano. Murano Museo – Take this stop if you want to visit the Museo del Vetro (Glass Museum). Murano Da Mula – The stop next to the Palazzo Da Mula. 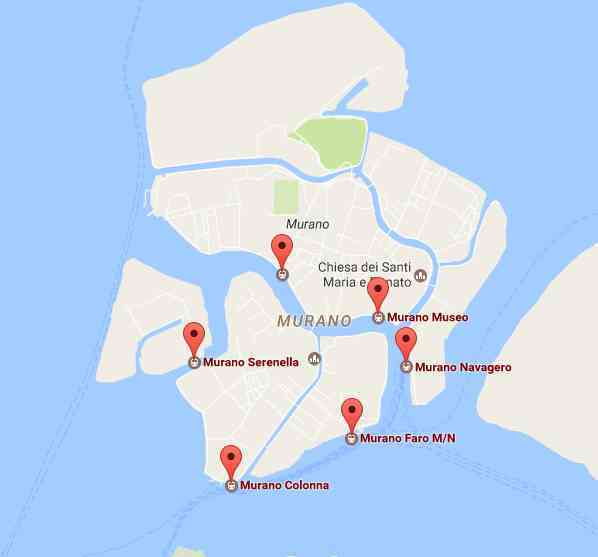 Murano Venier – The landing to discover the North side of Murano. Murano Serenella – The Western station of Murano. The price for a ticket is 7.50€ for adults and children over six. Children under six years old ride for free. There are package deals to take advantage of if you know you will be utilizing the public transit: 20€ for 1 day, 30€ for 2 days, 40€ for 3 days and 60€ a week. The best lines to reach Murano from Venice are the 3 / 4.1 / 4.2 / 12 / 13 year round and the 7 during summer. We suggest staying at a hotel in Murano. You will notice Venice is very expensive. Finding a reasonable price for a hotel often will sacrifice quality and cleanliness. For the same price of a two-star or three-star hotel in Venice you can have a four-star hotel in Murano. Take advantage of the easily accessible transportation, and you will see it all! 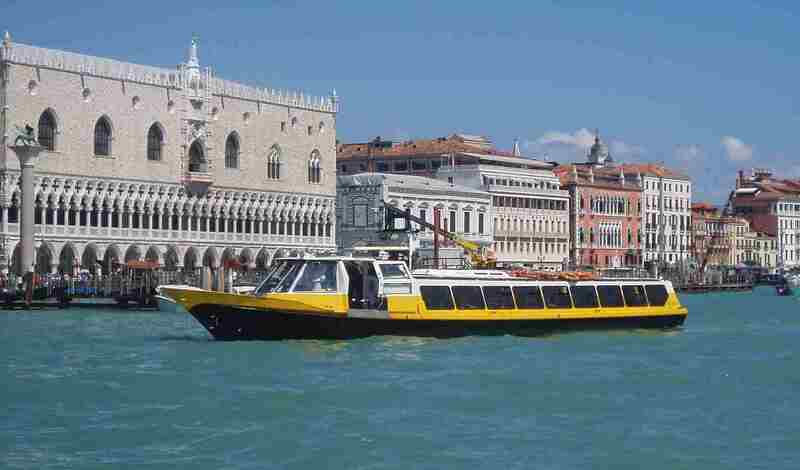 Now you have all you need to make the convenient trip between Venice and Murano. One reason you must see Murano is their rich and beautiful history with Murano Glass. Go and explore, but no need to worry about trekking any of the delicate pieces back. We have the best pieces on our website that come directly from Murano artists’ hands. Own a Murano masterpiece without the trouble. Check out our selection of Murano glass artworks on our website. Discover our unique glass selection, available online only!